Soon after we published our comparison article, Qlik dropped an announcement that existing QlikView users would soon be able to subscribe to a new kind of dual-use licensing, enabling them to quickly add Qlik Sense for a small additional fee. And that changes everything! In this article, we look at what this means for QlikView users and companies seeking to deliver analytics throughout their organization, and why the game is about to change. Although both are Qlik products, QlikView and Qlik Sense are built for different purposes. Providing a development environment, QlikView is ideal for building highly interactive guided analytics apps and playing with data. Let’s say that it’s like free play for highly skilled developers. QlikView’s large and diverse user base continues to rely heavily on the software’s flexibility, but, at the same time, many express interest in trying out Qlik Sense. 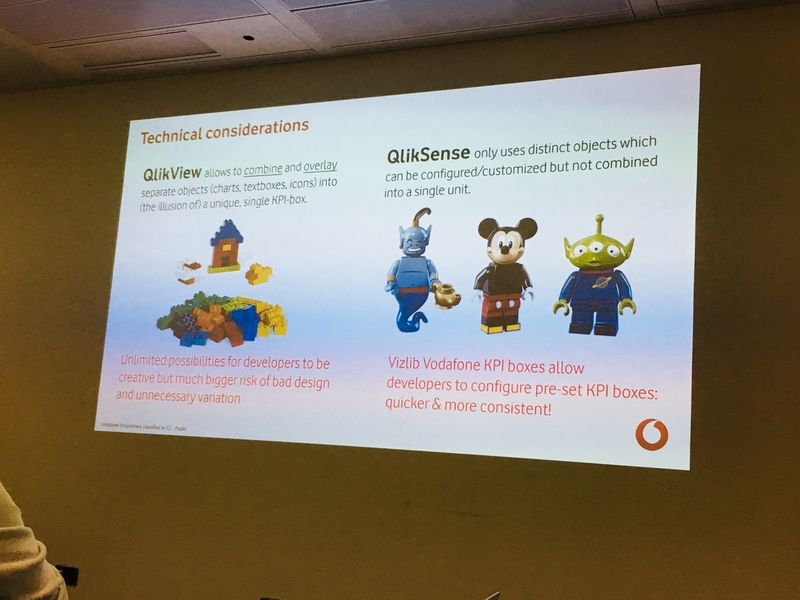 Sharing Vodafone's journey with Qlik Sense at the event, Sinad Music, Senior BI & Analytics Manager, used the lego analogy to draw attention to the technical considerations of the two products. While QlikView gives developers unlimited possibilities to be creative, there's a much bigger risk of bad design and unnecessary variation, said Music. Qlik Sense, on the other hand, comes with distinct objects that can be configured and customized as needed. "But what happens if you need a Batman and Qlik Sense isn't interested in building one for you?" he asked the audience. "Then you go to guys like Vizlib or Climber who offer fast and reliable Qlik Sense extensions." Qlik Sense is an application built for self-service BI. It offers an incredibly user-friendly interface and responsive design and enables anyone across the organisation to create data visualisations without any technical knowledge. Adding Qlik Sense to their analytics arsenal, businesses could instantly become even more data-driven as well as improve user data literacy. Until now, two major obstacles are believed to have hindered the adoption of Qlik Sense and its self-service oriented experience – the pricing and some missing functionality in Qlik Sense. In the past, QlikView customers who wanted to use Sense had to buy it as a separate product and pay the full price. Now, that’s a tall order for a business that doesn’t really know if it needs the product. So, while the demand and interest were there from the beginning, many simply couldn’t justify paying for a second analytics software, regardless of how appealing it seemed. The introduction of a dual-use licensing solves this problem. Qlik has recently announced that over 30,000 of its existing QlikView customers will be able to add Qlik Sense for just a 30% uplift on existing QlikView annual maintenance. Now businesses can leverage both tools cost-effectively and deliver analytics to the entire organisation. Moreover, the move signals a shift in Qlik's overall strategy. As Bruno Calver, Principal PreSales Solutions Architect at Qlik, and Alexander Karlsson, Product Manager at Qlik, affirmed at the event, Qlik is striving to open up its platform to third-party vendors, which means quality extensions will become a critical component for growth. Hence the recently introduced TED programme, which officially acknowledges the value of extensions to customers, and recognizes partners like Vizlib and Climber who are committed to providing high-quality supported extensions as a value-add to an already incredibly powerful data-engine. Because both QlikView and Qlik Sense run on the same associative engine, customers can easily reuse existing assets, such as data models and analytics expressions, which makes switching between the tools pretty straightforward. 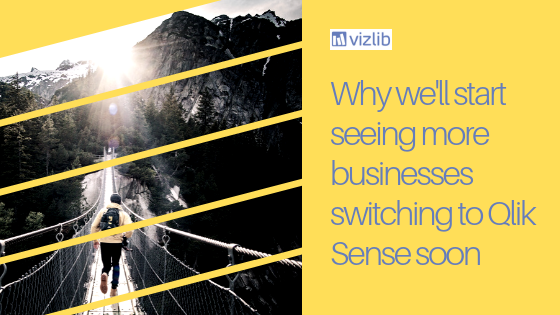 However, one of the key reasons why many businesses initially rejected the idea of transitioning from QlikView to Qlik Sense, was missing key functionality in Sense. Although Qlik is making significant investments to improve coexistence, there will be some time until the transition between QlikView and Sense becomes seamless (if ever). 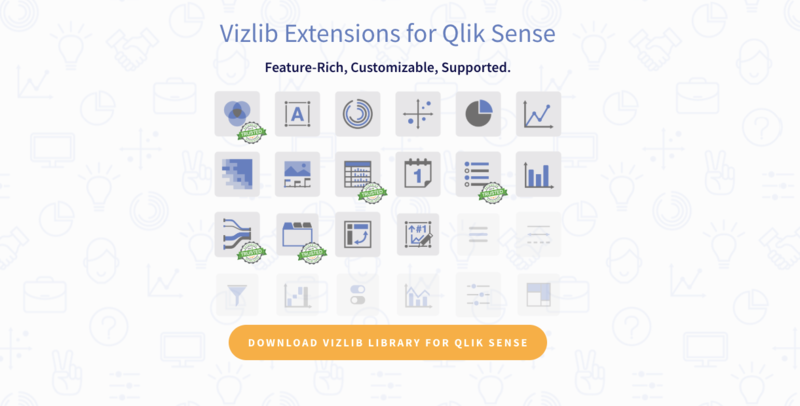 That’s where Vizlib’s library of supported, customisable Qlik Sense extensions comes in. Customers from various industries are relying on our Qlik-accredited extensions to bridge the functionality gap between QlikView and Sense and transition with ease. As an official Qlik Technology Partner, we collaborate closely with the Qlik team to ensure a tighter integration of all our user-friendly extensions into Qlik’s platform. 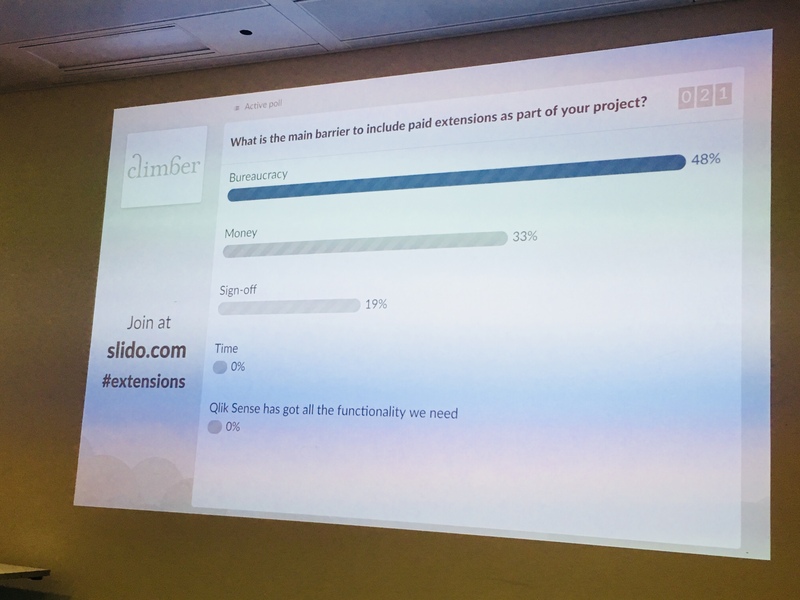 During a live poll at the "Extensions That Make Sense" event, the audience ranked the main barriers preventing them from including paid extensions as part of their projects. Bureaucracy has come out on top, with several members from the audience also raising the question about the best strategies for gaining internal stakeholders' buy-in. Almost unanimously, the panellists have argued for the effectiveness of running trials – that is, comparing in-house built QlikView dashboards vs. dashboards built on Sense using Vizlib or Climber extensions – as well as estimating costs associated with building buggy, poorly documented objects internally. Organisations that choose to use Qlik Sense extensions agree that once you go down that path, the experience is changed forever – extensions save money, time and provide the element of stability. Please contact us via support@vizlib.com if you're interested in our special offers for customers migrating from QlikView to Qlik Sense. Please mention DUALLICENSE2018 in your email!